Please note, Fallow deer are such fighters, that we are not going to note every rounded off tine or damage. If ordering more than one, email or call so we can save you money on shipping. 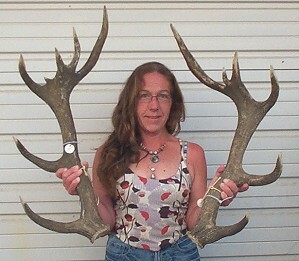 BIG 13 point shed set.